Finesse is a beautiful tripel made with barley, wheat and rye malts. It has a nice sweetness and fine hints of hops. The beer has a nice fruity taste and aromas reminiscent of biscuits and caramel. A velvety tripel that is well worth the effort. 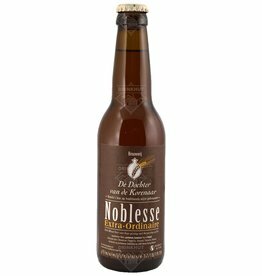 Dochter van de Korenaar Noblesse is a smoothly drinkable blond beer with 5.5% Alc. Soft with a spicy, hoppy aftertaste. 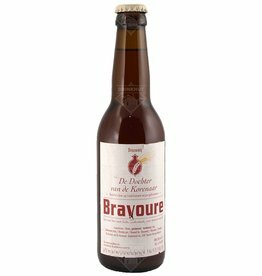 Dochter van de Korenaar Bravoure is a 6.5% Alc smoked beer. The Daughter of the Ear of Corn - Noblesse extra ordinaire is a mild IPA. The beer is dry-hopped with a mixture of European and American hops, giving it a nice hoppy bouquet. 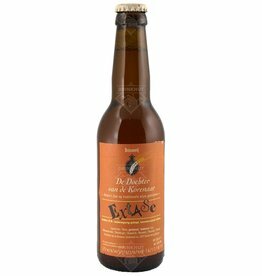 The beer Dochter van de Korenaar Belle-Fleur is brewed by De Dochter van de Korenaar in Baarle-Hertog in Belgium.